This week we took a field trip to our bean roaster and equipment gurus: B&W Specialty Coffee, 2010 E Hennepin Ave #70 Minneapolis, MN 55413. B&W Specialty Coffee has been partnering with Bob’s Java Hut for many years and we are so grateful to have such a resource inside our local community. B&W not only supplies us with their heavenly beans but they also provide educational classes for our baristas, excellent customer service, and speedy equipment repair. They really are the whole package. Why did we pick B&W? Bob’s Java Hut is committed to representing and contributing to, Minnesota businesses while keeping sustainable, organic and fair trade practices in mind, and B&W Specialty Coffee provides this service. B&W uses micro-roasting (artisan, small-batch roasting) to ensure the highest quality beans. They also provide coffee beans that are organic and fair trade to support sustainable coffee farming practices. While we were there, their roaster, Dave, educated us on the machines and beans he was currently preparing. We toured in the early morning and the intoxicating aroma that Dave has nurtured for over ten years at B&W spread over the entire factory. If you have a bean question, Dave is the man to ask and if you set up a tour be sure to arrive early to experience scent-euphoria. As if that wasn't enough reason to join with B&W, they also provide educational classes on everything coffee. 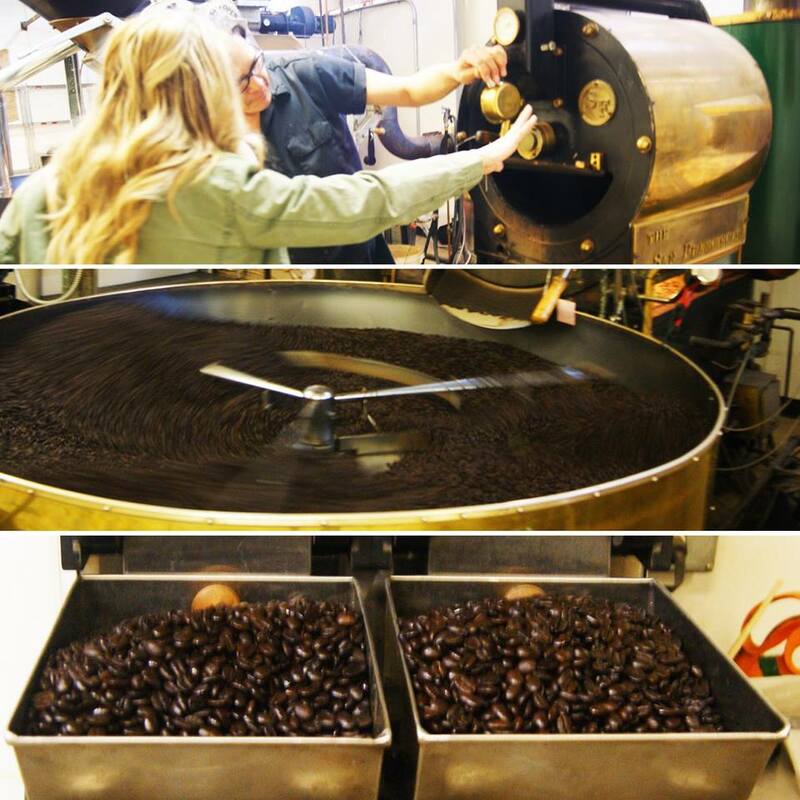 Many of the Bob’s Java Hut Barista’s have been inside their onsite classroom to learn from the best: owners, Alex and Kate, who both have dedicated their lives to fully understanding all there is to know about coffee. B&W’s website provides quick, online overviews of the most popular and important topics. It’s a great online introduction and resource for everyone. We highly recommend setting up a time to pick their knowledgeable brains. Last, but certainly not least is B&W’s excellent client service technicians, like Jami. Jami is the on-site, off-site equipment aficionado. Walking into Jami’s repair shop and watching him work was incredible. He was tuning up an espresso machine from the early 90’s for one of their other partnered coffee shops when we arrived. Jami has come to Bob’s Java Hut many times because our machines have needed his loving care and routine maintenance; he is our Bob’s Java Hut superman. This is truly a well-appreciated service that had been provided for us. We, as a partnered business, feel encouraged and excited to talk with anyone in the shop when we have a question, they are all incredibly knowledgeable and helpful. We welcome you to stop by their website as it is an amazing resource, not only to learn more about B&W Specialty Coffee, but also to start learning everything coffee, www.bwjava.com . You can find their email and phone number there as well if you would like to reach out to the B&W Specialty Coffee Team. Thank you B&W, we are so happy to work with you!